Myk is a freshman Law student at the University of the Philippines Diliman, where he earned his undergraduate degree in Journalism. He loves dancing like crazy, being an alumnus of the UP Streetdance Club and a trainee of The Crew. He also loves humor in all its forms, reading about science and philosophy, and of course, making his gorgeous girlfriend happy. You can follow him on his Twitter and Instagram accounts under the username @maykalabao. 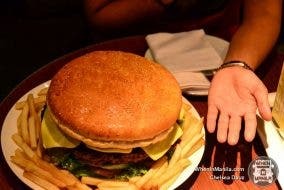 Snaps Giant Burger – Challenge Accepted! Enjoy Philippines Celebrates 5th Anniversary with Best Edition Ever!